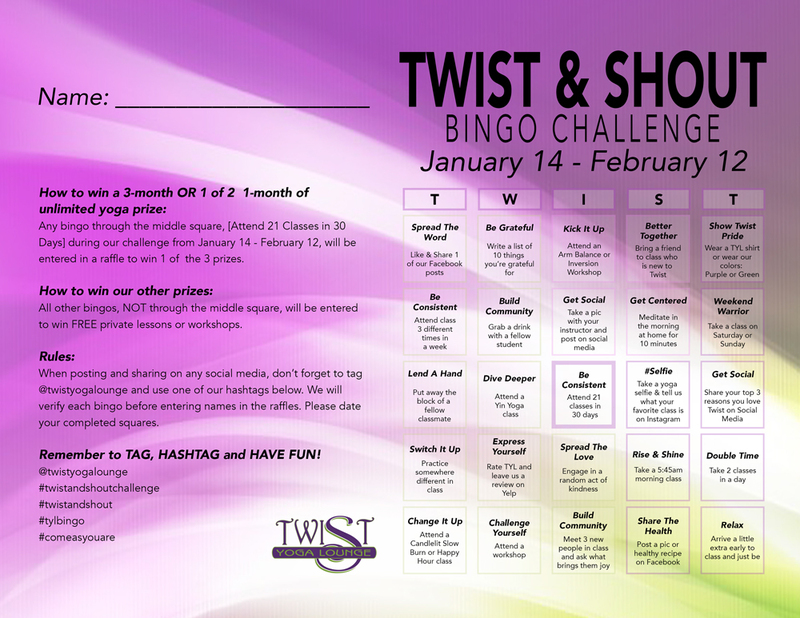 Twist & Shout Bingo is Back! Play to win all types of prizes including FREE YOGA! It’s the challenge that you can have a lot of fun & be creative with.